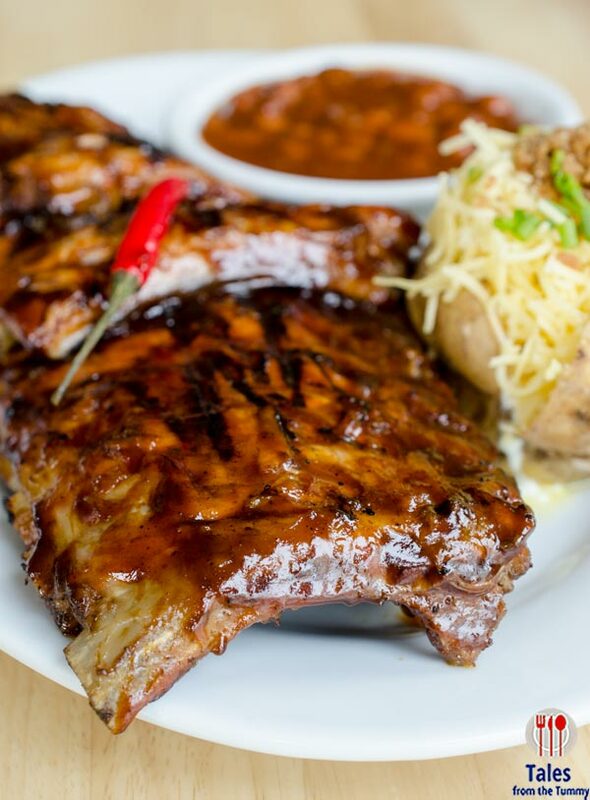 If our family wants ribs in Manila, the first place that comes to mind is always Tony Roma’s. 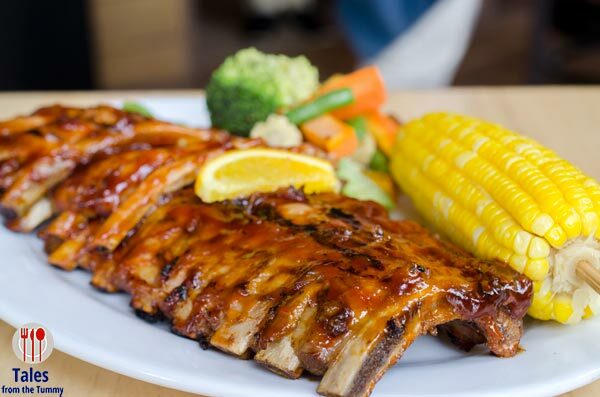 My dad acquired a taste and craving for ribs when he tried Dem Bones, a defunct restaurant in Vancouver, many years ago. After coming home from his trip, we kept eating ribs until he found his local favorite at Tony Roma’s. We’ve celebrated many a birthdays and Sunday dinners at their Glorietta 4 branch. I still have memories of their humongous 1st branch in Greenbelt that had a tree (a BIG tree) inside the dining area and that staircase going up from the ground floor (I’m felt so old when I found out the was 18 years ago). 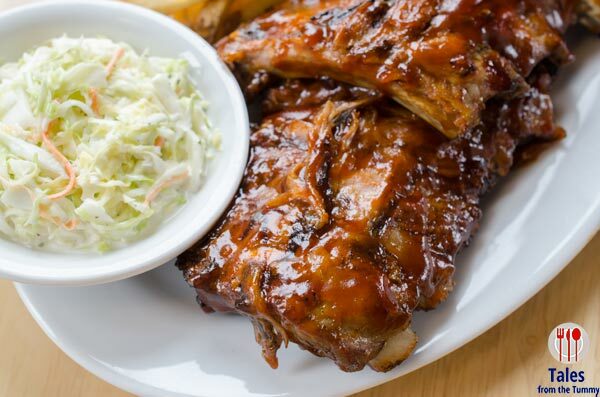 Before we got our hands dirty with the ribs (ok ok, I don’t use my hands…), we sampled some of their appetizers. I have never tried most of the dishes below since we don’t even look at the menu at Tony Roma’s and just order our usual. The Roma Sampler (P1125) is composed of their Half Onion Loaf with a side of BBQ sauce, Spinach Artichoke Dip with Nachos and Spicy Boneless Chicken Bites (alternative sauce is Carolina Honeys). First time to try all and I have to say my favorite is the onion load with lots of bbq sauce. 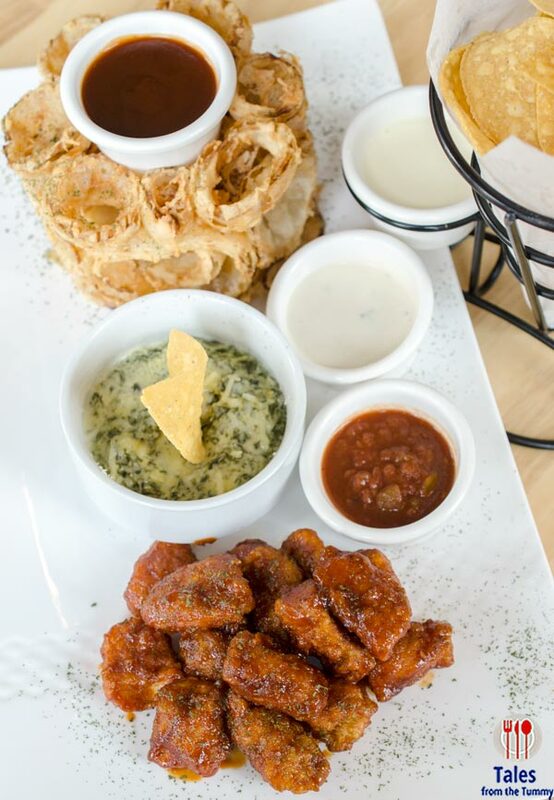 The next plate is the Appetizer Sampler (P675) composed of Baked Potato Skins, Mozzarella Sticks and Fire Wings, all served with accompanying sauces (marinara, bleu cheese and sour cream). 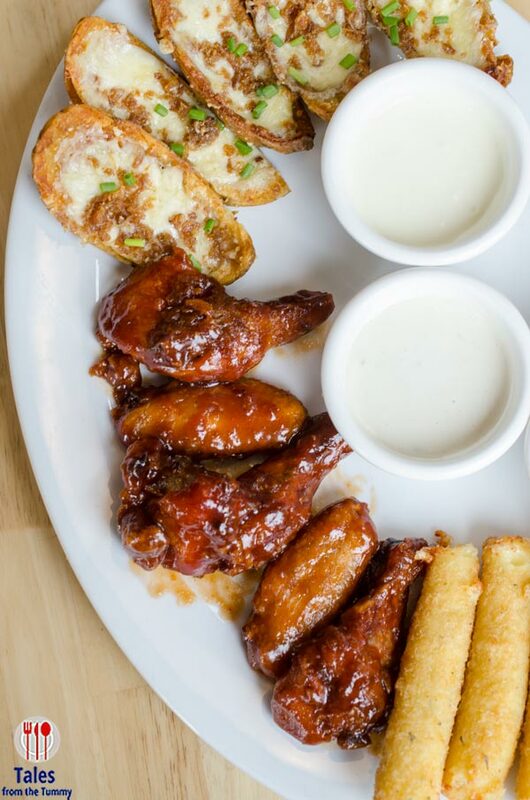 This reminded me of a similar appetizer platter from Friday’s but this one is better especially the potato skins and their super thick marinara sauce. Next were two plates of salad, Thai Peanut Salad (P545/full, P375/half) and Sonoma Salad (P675/full, P425/half). 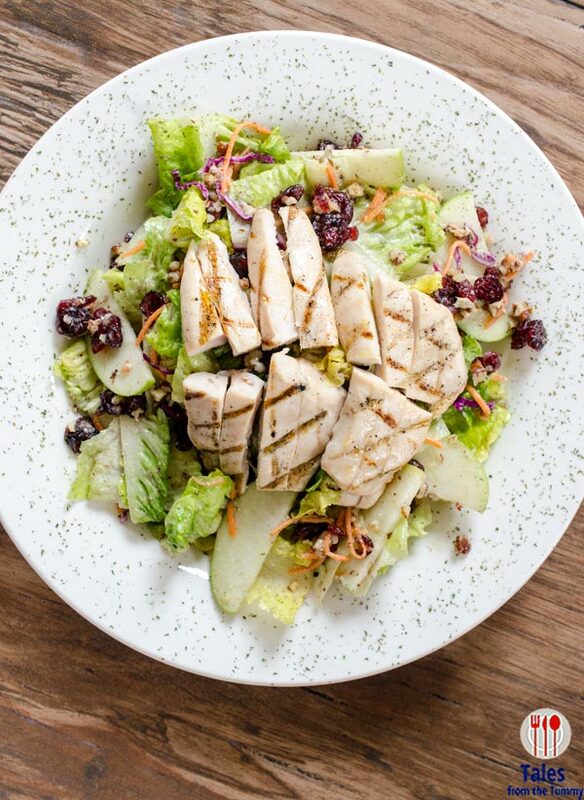 Both salads come with grilled chicken so this can be an alternative for people who don’t want ribs (but why??). The Thai peanut has a slightly spicy sauce while the Sonoma had a nice tangy vinaigrette with lots of playful textures. 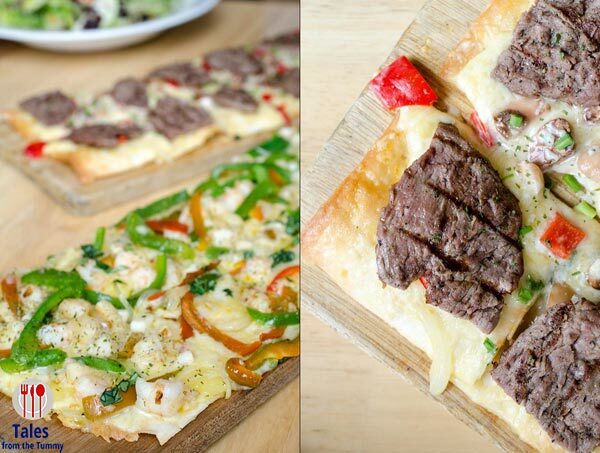 They also served two flatbreads, the Mixed Seafood Flat Bread (P475) and the Steak and Wild Mushroom Flat Bread(P475). I enjoyed both although they are different in flavors and would appeal to different tastes. The seafood flat bread was light and refreshing with a bit of spice while the steak was meaty and creamy. Time for RIBS!! They’ll give you some plastic Tony Roma’s aprons to ward off any untoward food accidents on your shirts. 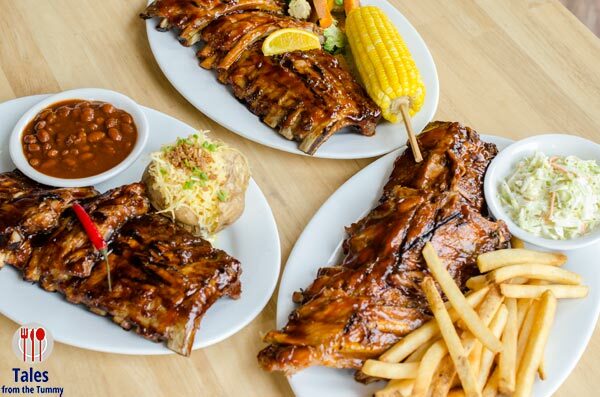 We had three whole slabs of Tony Roma’s World Famous ribs in Original Baby Back, Carolina Honeys and Tony Roma’s Red Hots(P675/half, P888/regular and P1175/whole slab). Our family’s all time favorite is the Carolina Honey so every time we eat there the only decision is how many slabs and what sidings we are having which usually means a lot of corn. We even have bottles of the same Carolina Honey’s sauce at home. They serve each platter with 2 sides of your choice from baked potato, fries, corn, coleslaw, baked beans, rice and mixed vegetables. They also give you extra sauce for dipping if you so desire but all the ribs are sufficiently basted with their signature sauces already. I’ve tried the Original previously and it uses Tony Roma’s original bbq sauce which has a more smoky flavor. The Red Hots are obviously spicy but I could take it just without any extra sauce and some help from the coleslaw to wash away the spiciness. No need to expound on the Carolina Honeys as most of my eating companions were giving it a big thumbs up. 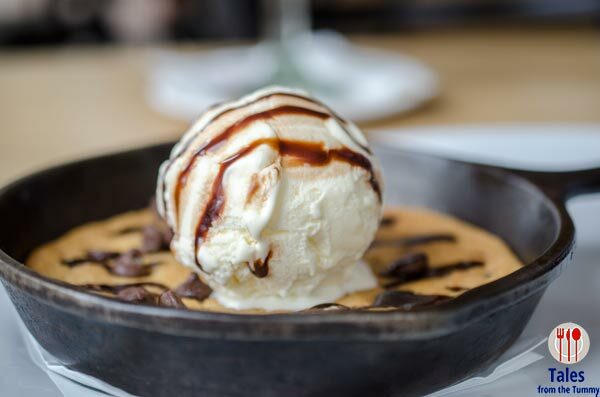 If you still have room after the ribs bonanza then you can check out their flurry of desserts. 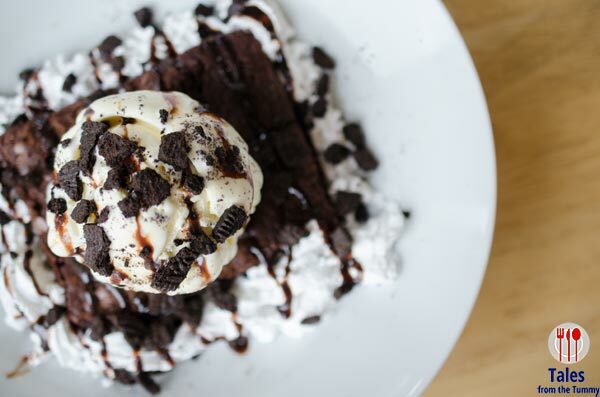 For chocoholics, the Chocolate Avalanche (P390) and Chocolate Brownie Sundae (P360) should prove to be enticing choices. 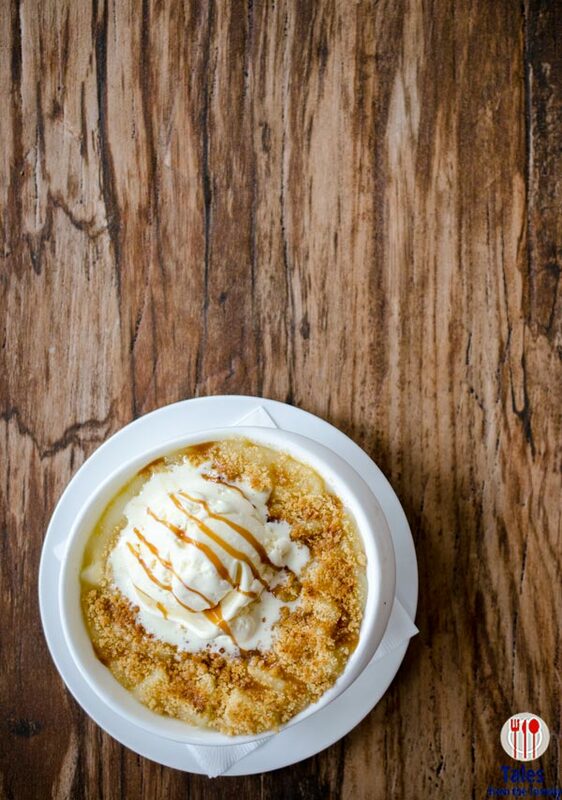 For a tarty and crisp ending, the Apple Crisp (P360) fits the bill while cookie lovers will appreciate the Skillet Cookie Sundae (P400). 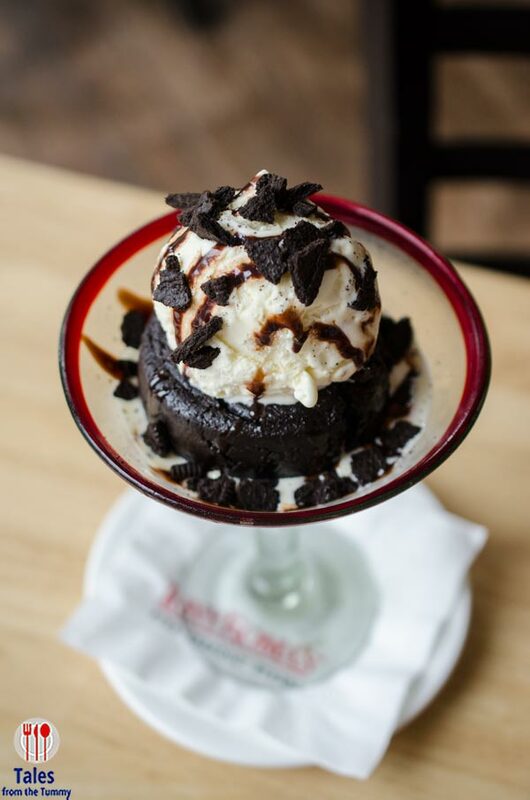 Here’s a little thank you from Tony Roma’s and a perfect reason to try them out during this Holiday Season (Dec. 1-31, 2014) *extended to Jan. 31, 2015*. Just print or have it on your mobile device the flyer below and you get 25% off your bill for lunch and 20% for dinner. 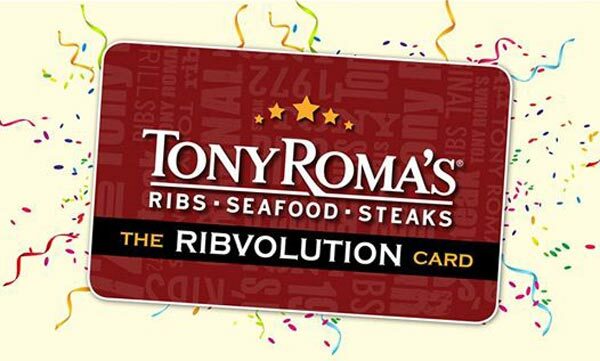 If you love Tony Roma’s like us then you’ll love their new Ribvolution Privilege Card. The card costs P1,000 but comes with with a FREE half slab of ribs worth P675, 20% discount on every visit plus other vouchers. Check out the other vouchers and benefits you get from the Ribvolution card here(http://www.tonyromas-mms.com/files/documents/Manila/ribvolution_card_benefits.jpg). Tony Roma’s has thrown in a extra benefit if you buy the Ribvolution card from Dec. 9-31, you get a 40% off voucher for their Feast Platters. Check it out here – 40% off Feast Platter.